I’ve always thought Ali’s response was the coolest quip in sports history. Yet somehow I’d forgotten all about it until a couple years ago, when someone asked me to explain the difference between “content marketing” and “inbound marketing.” I suggested she let others fret about terminology and instead focus on creating awesome stuff that doesn’t even feel like marketing in the first place. In other words, if it’s good, be that. Perhaps it's because I have a “content marketing” title at the company that coined the term “inbound marketing," but lately I’ve spent quite a bit of time thinking about the distinction. So as part of our annual State of Inbound survey, we put the question to more than 3,500 marketing and sales professionals. 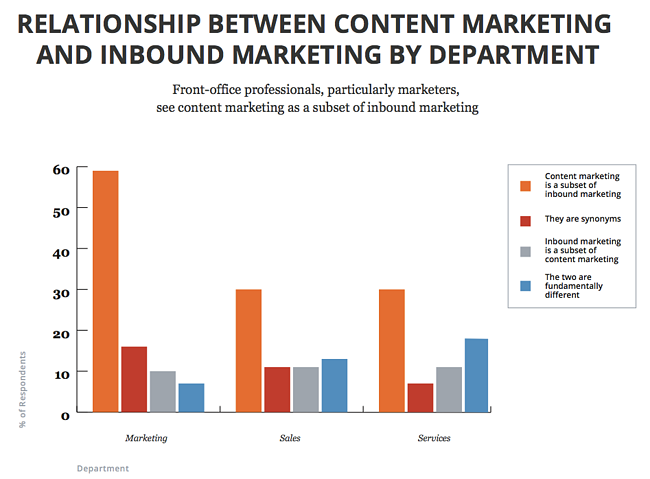 Content marketing is a subset of inbound marketing. 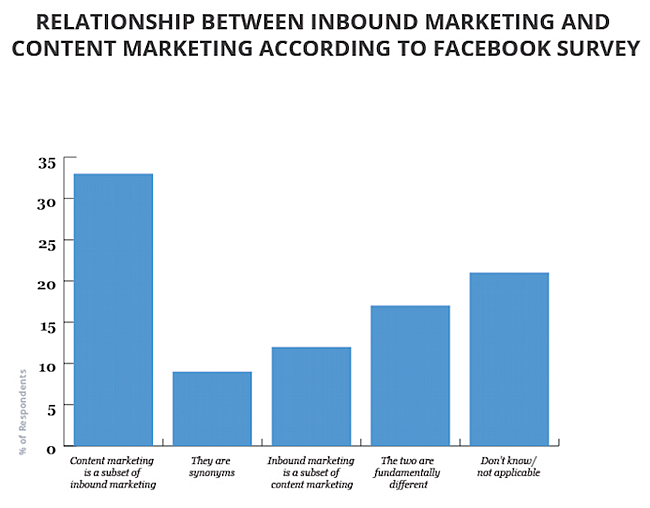 Inbound marketing is a subset of content marketing. The two are fundamentally different. Before we dive into what the audience said, I’ll share my perspective. I believe content marketing is a subset of inbound marketing, but like the Arc Reactor to Iron Man, there is no inbound without content. Content is inbound’s lifeblood. What I think, of course, doesn’t matter at all. 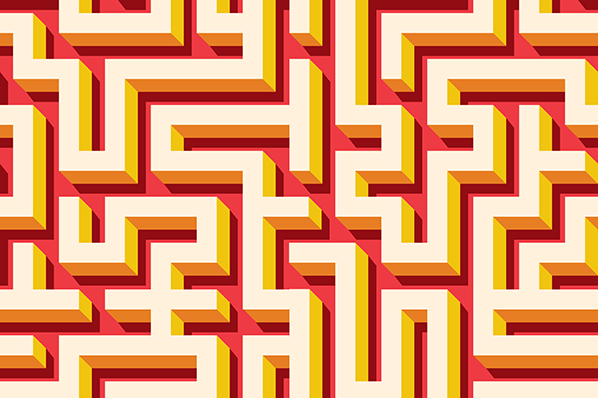 Ultimately, it comes down to what marketers think. And it turns out, we all think a lot alike. Front-office (marketing, sales, services) professionals generally agree that content marketing is a subset of inbound marketing. Marketers are particularly united in this definition. When we first saw the above data, we felt validated, but skeptical. We wondered if sample bias was skewing the results. After all, HubSpot sells inbound marketing software, and nearly half of our survey respondents are our partners or customers -- so perhaps we were sampling an audience that had been preconditioned to favor inbound? 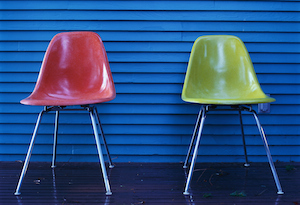 We tested this possibility by comparing responses from HubSpot customers to non-customers. As you can see in the below chart, there’s little variance between the two groups. 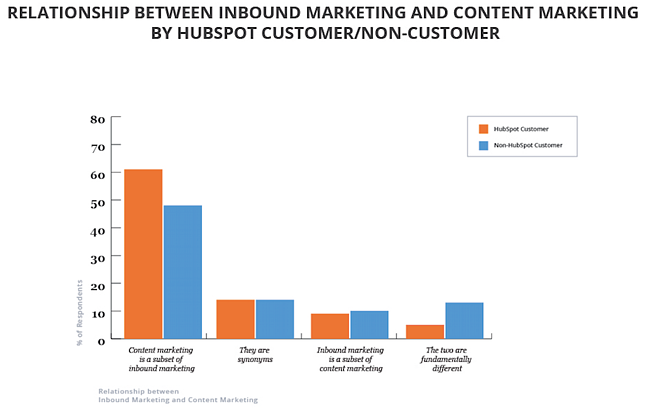 In fact, nearly half of marketers who don’t use HubSpot believe content is a subset of inbound marketing – that’s five times as many as those who feel inbound is a subset of content marketing. 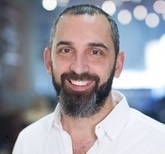 Just as HubSpot has positioned itself around the inbound marketing concept, other marketing automation vendors have introduced their own terminology. Does one’s choice in marketing platform influence her perception of inbound and content marketing terminology? We sliced the data by marketing automation usage to find out. 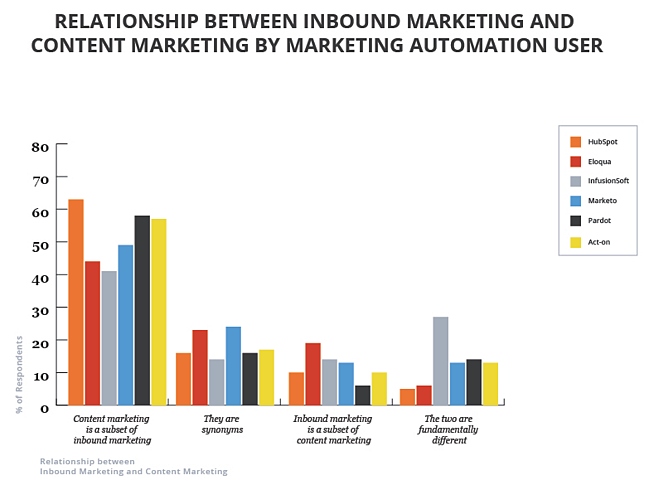 Here's what we found: Marketers generally share a common understanding of inbound/content marketing, regardless of what marketing software they run. Finally, we wanted to ask the same question of a completely different audience. So we promoted a one-question survey on Facebook, targeting North American adults with an interest in either digital marketing, inbound marketing, or content marketing. Though the data is a bit more variable than the responses to the HubSpot State of Inbound survey, respondents were three times as likely to consider content a part of inbound than vice versa. See below. So what does all this mean, and does it really matter? It does. Marketers should think in terms of “and” not “or” when it comes to the content/inbound relationship. Success relies on both. 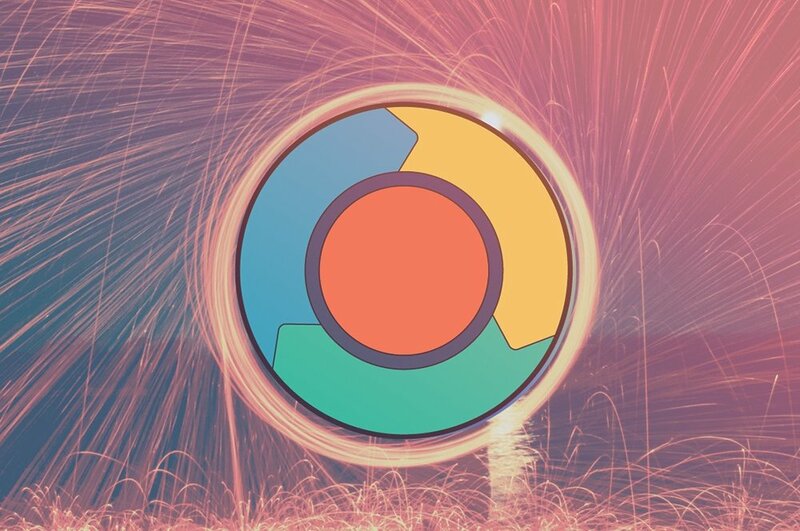 Content may help fuel your inbound engine, but there are similarly valuable inbound projects -- like technical SEO, freemium trials, interactive tools -- that may exist outside of the content marketer’s scope. If you aren’t availing yourself of the full spectrum of inbound practices, you are limiting the potential impact you can have as a marketer or marketing leader. In other words, your inbound initiative should be a superset -- inclusive of your content assets, but not limited to them. There are implications for organizational structure, roles and responsibilities, as well as skills procurement. Or you can worry about creating the kind of marketing people love, and let the pundits attach terms to your output. That works too. After all, as truculent as Ali was, he’ll always be remembered simply as the greatest. For a deeper understanding of inbound marketing, check out HubSpot's free Content Marketing Certification course.